The BMW Z8 was a roadster car produced by German automaker BMW from 1999 to 2003. It was given the E52 BMW model code. The Z8 was the production variant of the 1997 Z07 concept car, which was designed by Henrik Fisker at BMW’s Designworks USA in Southern California. The Z07 originally was designed as a styling exercise intended to evoke and celebrate the 1956-’59 BMW 507. The Z07 caused a sensation at the ’97 Tokyo Auto Show. The overwhelming popularity of the concept spurred BMW’s decision to produce a limited production model called the Z8. There were 5,703 Z8s built, approximately half of which were exported to the U.S. There are many good examples still selling in the USA and it is not a surprise that us Europeans would like to have these fantastic vehicles over here in the UK and EU, but it is not a simple process to get one back and register it for European use. 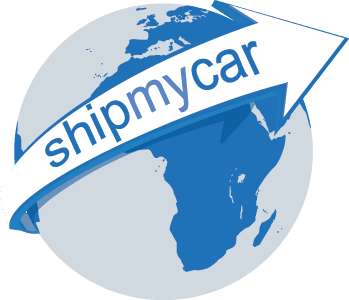 First you have to contend with the car shipping process, including US collection, US customs, export procedures, containerising the car, marine insurance, UK customs, unloading and customs formalities. Be warned, doing this yourself is NOT for the faint hearted. ShipMyCar.co.uk are the obvious choice to get your Z8 back into the UK/Europe (you can even get an INSTANT, no obligation breakdown of all costs involved using our quote system at www.shipmycar.co.uk), we handle all of the above export/import procedures to the highest of standards and as quickly as humanly possible. We also ensure that the BMW is imported in the correct way as an EC Returning vehicle which means rather than 10% duty, you just pay £50 and then the VAT. This can save you potentially thousands of pounds…. Rear Lights Conversion – US lights indicate red in colour which will not get through an IVA, we provide a factory-look solution by removing the neon tubes and replacing with LED, inside of your existing light cluster. This then provides amber indication and looks just how it is meant to. So I think we have made it clear enough that the best option for bringing your new Z8 back to the UK is through the experts at ShipMyCar.co.uk – we ship thousands of cars all over the world and offer a personal and careful approach to bringing your new prized possession back to the UK/Europe and not just delivering it, but delivering it ready to drive…. BMW Z8 shipped to the UK being driven off, ready to drive!